$890.00+ Cthulu goes to college. Good looking case. Pain to build in. I would not build in this case again. Honestly, this thing isn't great. It looks good and does the job but I've had multiple issues with it. One, the layout is too weird. 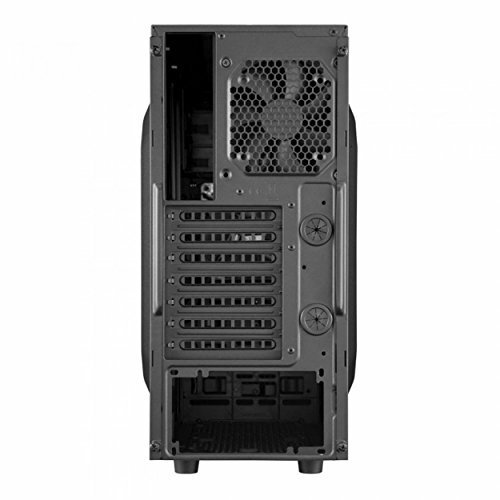 If using an ATX mobo, it'll be hard to plug in your 8 pin CPU power cord. The mobo sits right up against the top of the case so it's hard to plug it in. Also, because the mobo sits so high in the case, you can't use 2 fans or a 240mm (or more)radiator on top because the RAM gets in the way. And, it bends easily. It came bent in two places. I bent it back though. Also, the headphone and mic jack on the front doesn't work. The case looks good a bit flimsy not bad though, decent cable management but I think next time I get a case with a basement to clean up the look a little better. Great aesthetics, but poor quality. 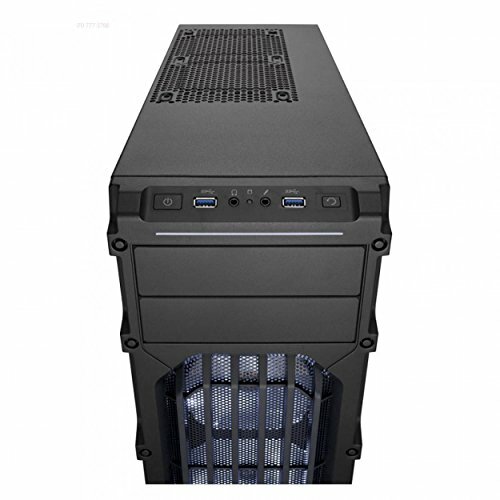 Comes with 2 120mm white LED fans and one 120mm standard fan. Makes my components look great and had enough room to house my components. 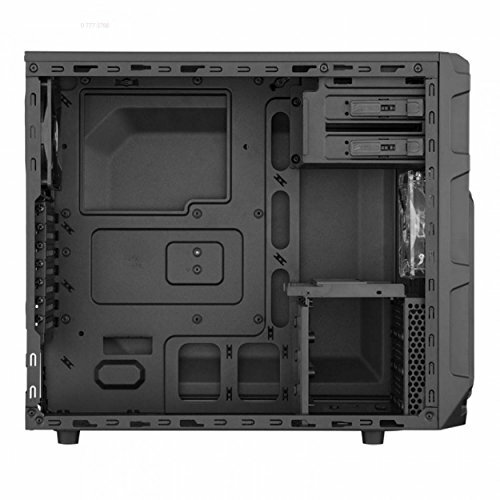 Unfortunately, despite Corsair claiming the SPEC-03 to be compatible with its own H55, the two screws that mount the rad protrude out, preventing the panel from sliding back on. Two small cuts had to be made in the side panel so I could close the case. A fine case, build quality is meh. Not bad but not amazing. Screws are finicky. Wouldn't build in this again. Crappy cable management options, shoddy screws and overall design. The viewing window is rather tiny and the area for mounting drives and other accessories is not very easy to work with.